The firm of ANTHONY J. PERRI, C.P.A., P.A. currently represents and advises major developers, entrepreneurs, entertainers, and business professionals. Anthony J. Perri, C.P.A. With more than 20 years of experience as a Certified Public Accountant, the firm's founder, Anthony Perri, began his stellar career on Wall Street with Price Waterhouse in New York, a Big Five accounting firm. While at Price Waterhouse, Mr. Perris client responsibilities included major national and international companies such as Con Edison, Exxon Corporation, Chemical Bank, and the Corporation for Public Broadcasting. After transferring to the South Florida area, Mr. Perri began specializing in tax, financial, and estate planning. He has lectured on those subjects as well and has authored a financial advice column for a large city newspaper. He currently serves on the Financial Advisory Committee for the City of Coral Springs and on the Broward County Adult Education Committee for the Broward County School Board. Mr. Perri has served as financial advisor to the City of Coral Springs for more than 12 years and has been instrumental in helping Coral Springs earn a "AAA" rating with three national institutional credit rating services, Fitch (IBCA), Moodys Investor Services, and Standard & Poor. These extraordinary bond ratings have allowed Coral Springs to save millions of dollars in municipal bond interest expense. Since 1993 Mr. Perri has served as the Accounting curriculum advisor for the Broward County School Board, Adult Education Committee. Anthony Perri, CPA, has been a member of the Rotary Club of Coral Springs for over 15 years and has served as Officer and Director during that time. In addition, Mr. Perri currently is the major sponsor for the annual Rotary Club Concert Series scheduled annually to raise funds for many local charities including Kids In Distress and SOS Children's Village. Anthony serves on the Board of Directors for the Florida Grand Opera and is a member of the finance committee. Anthony also serves on the leadership council for the FGO as a benefactor, has sponsored fundraising events and has been named a Florida Grand Opera Crown Jewel. Anthony Perri has conducted Quality Practice Reviews for the American and Florida Institutes of Certified Public Accountants, a select group of public accountants who have been honored for their high standards of public practice in the implementation of tax, financial and estate planning strategies. Mr. Perri attended the Bernard M. Baruch School of Business and Public Administration of the City University of New York where he received his BBA in Accounting and also attended graduate school. Mr. Perri has been certified in New York and Florida to practice Public Accounting. 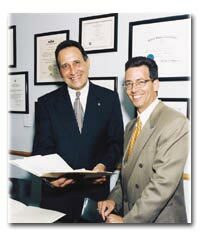 In 1985, Anthony Perri founded his own accounting and consulting firm to serve the South Florida Community. He is a member of the American Institute of Certified Public Accountants and the Florida Institute of Certified Public Accountants. The firm of ANTHONY J. PERRI, C.P.A, P.A. has served as a financial and tax advisor to an Oscar-nominated actor, screenwriter and playwright, major league athletes, other personnel associated with a major league sports franchise, a nationally-recognized motivational speaker/author and publisher, and a nationally-published author and editor of childrens books. The firm's high-profile clients include major real estate developers and builders, bank presidents, physicians practicing in all phases of medicine, architects, attorneys, and other highly-compensated entrepreneurs and business owners. Many of the firm's clients are members of a very select group who have achieved extraordinary success in their respective careers. They enjoy and anticipate continued high income. The firm counsels its clients to accumulate wealth without engaging in high-risk investment activities - growing their assets solely through the implementation of effective tax strategies, proper use of retirement planning, and prudent money management and investment programs. The firms ongoing mission is to help its clients accumulate, protect, and preserve their wealth and lifestyle. You deserve timely service with a firm that makes you a top priority. Our staff works together to give you the most value for your time and money. Your financial success is our primary concern, and open communication is vital to our working relationship. We want you to feel that you can ask questions at any time concerning your affairs. Your tax and financial concerns will be handled in strict confidence. Fees are a part of the time and knowledge necessary to help you achieve your financial goals. We strive to give you the best service at the lowest possible cost. Please feel free to discuss our fees with us at any time. Having an experienced guide at the various stages of your financial life can turn your financial dreams into reality. We have the experience and can help you use your resources effectively as you work toward your goals. We can make a difference in your financial life. Put us on your team and use our strengths to deliver on that promise. Call us to arrange a meeting where we will discuss your financial and tax concerns and determine how we can be of assistance to you. 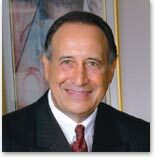 ANTHONY J. PERRI, CPA, P.A.